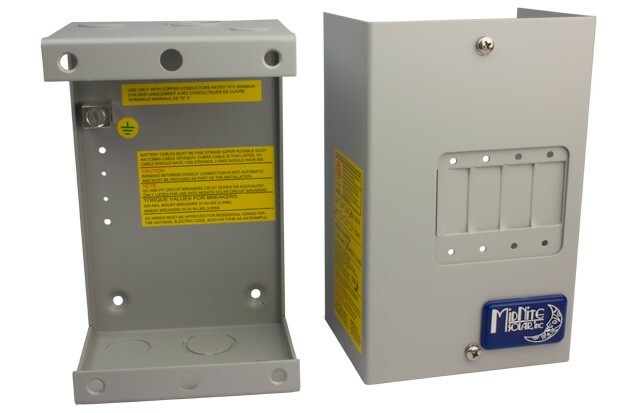 Midnite’s ground fault protection breakers use a trip mechanism to connect the battery negative and earth ground to open the larger breaker in case of a ground fault. The 2008 NEC requires DC ground fault protection on all solar installations. The panel mount, single pole format will mount in Midnite E-panels or the Quad Box.